Full disaster recovery that our SERVPRO team provides to homes throughout Daytona Beach, Port Orange, Harbor Oaks and all of the surrounding areas hinges on the premier cleaning services that takes the property to its final stage for approval by the customer. 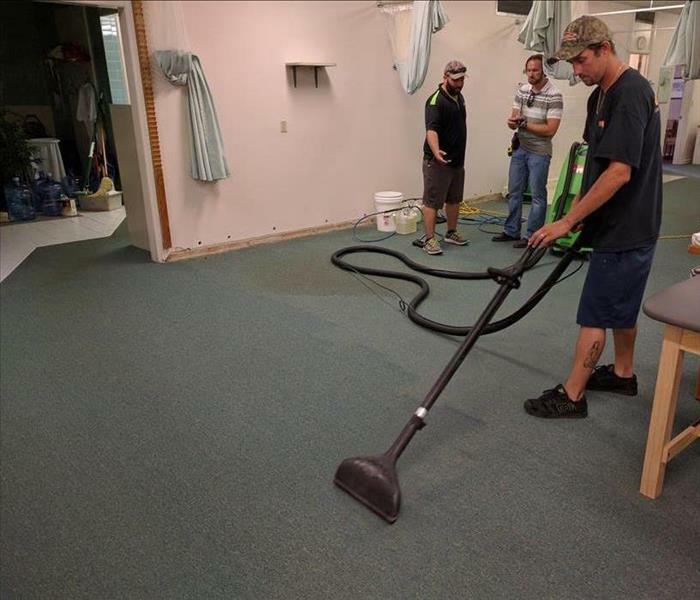 Our IICRC-certified cleaning technicians have training in carpet restoration and reinstallation, but also have the advanced equipment and products to remove surface stains, revitalize upholstery, and remove odors from the house as well. Our team is flexible, scheduling our premier cleaning services around the time that fits your life, even if it is beyond normal operating hours. From open houses to ongoing upkeep appointments to keep your home in top form, our professionals can provide efficient and effective solutions to bring out the best in your property.